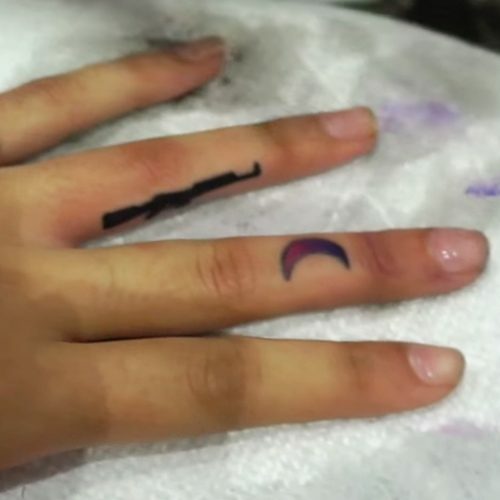 Alexis Ren got this vintage revolver tattoo on her knuckle from artist Romeo Lacoste in April 2017. 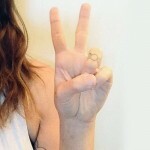 The tiny but detailed gun is on on her right index finger. 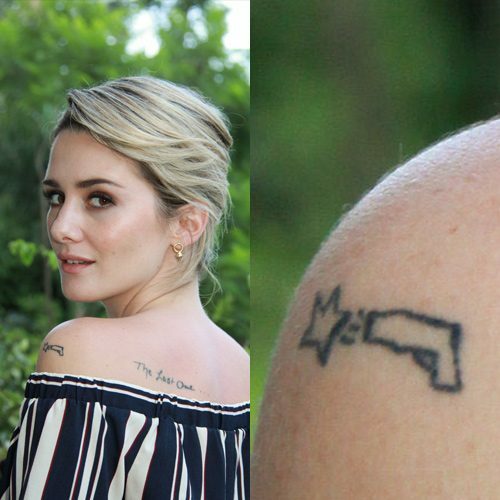 Addison Timlin has a tattoo with a tiny gun and a star on her left shoulder. 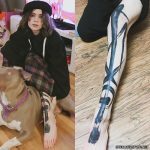 Margaret Cho, which has a multitude of colorful tattoos on her body, gets a new tattoo – an old fashioned garter and gun on her left thigh. 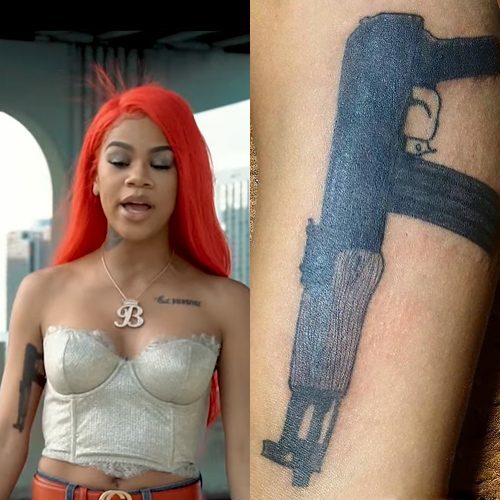 Molly Brazy has a gun machine tattoo on her right bicep. Jasmine Sanders has a gun inked on the back of her right ankle. 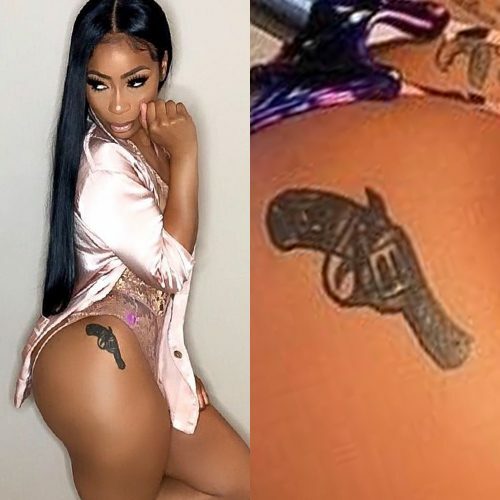 Hazel-E has a large script tattoo on her left forearm reading “Arica Kane” Interesting about this design is that the letter A is actually a pyramid and the letter K is the silhouette of a rifle. 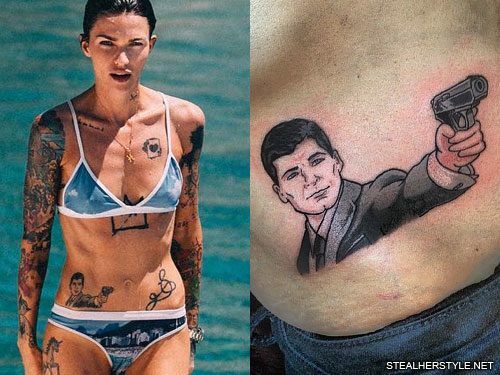 Ruby Rose paid tribute to the FX animated comedy television series Archer with this tattoo on the right side of her stomach. 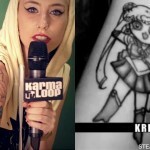 On November 18, 2013 she tweeted about her plans for the tattoo, writing “I love Lorde and Sterling Archer. Forever and ever. Need to get an Archer tattoo, weird If I got a 16 year old lorde tattoo tho.#boundaries” One day later she took the plunge and visited the famous Los Angeles tattoo parlor Shamrock Social Club where artist Louie Perez put her idea into ink. 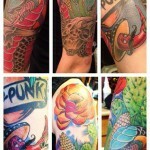 The tattoo depicts the show’s title character Sterling Archer with his arm outstretched holding a gun.